While Bootstrap has always been a great framework and in many ways led the way for CSS frameworks to blossom, it&apos;s good to switch it up a bit. While waiting on Bootstrap v4 to come out of beta, I went looking for other frameworks, especially flexbox based ones. Bulma to the rescue! Bulma is built by Jeremy Thomas and is fully open source. The modern design and layout features Bulma offers were the main reasons we chose to use it for Scotch. Flexbox based: Makes creating grid items and vertically aligned things really easy. I&apos;ve found that building out sites/apps with Bulma (including Scotch.io! ), there is less CSS that I have to write since there are so many features built in. We make heavy use of the layout features like hero sections and cards. The Bulma syntax uses the is- keyword to identify modifiers on the base class. For buttons, button is the base class and there are modifiers like is-primary, is-small, and more. Here&apos;s a comparison of the Bootstrap vs Bulma classes. Pretty similar overall and Bulma uses the is- keyword that is pretty readable. We have a button that is-danger, is-large, is-inverted. There&apos;s even classes for is-outlined. Bulma&apos;s main features are separated into a few main sections. 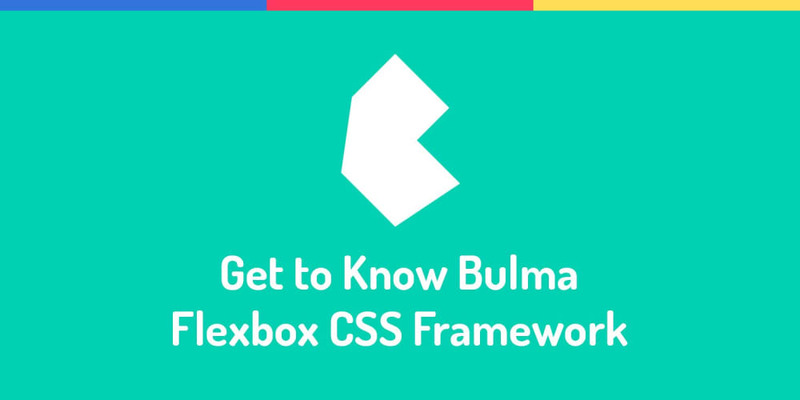 We&apos;ll look at some highlights of the Bulma framework. These are the features that convinced me to use Bulma when building Scotch. The main place to get an overview of how Bulma works and what it offers. This is mostly talking on installation and how to use Bulma if you were to import the Sass variables/files/functions. Shows off the main modifiers like responsive helpers to hide and show elements based on viewport size. There are also typography helpers to size, color, and align text. The grid system in Bulma is easy to use and customizable. We have the ability to control the sizes, grid layout based on viewport, nesting, and even sizing the gap. Since the grid is flexbox based, we don&apos;t have to set the sizing. The columns will just fill the space evenly. You can also set sizes using the is- modifiers. This is my favorite section of Bulma. While other frameworks will give you a lot of the basics like styling, forms, and buttons, Bulma sets itself apart by providing layout components. These are a big reason you won&apos;t have to write much custom CSS when writing your own apps/sites. Section, hero, and level are crucial parts to any site. This is a generic section class to provide a quick divider for your site. The container class will set the correct widths for your content based on viewport sizing. This is my favorite feature of Bulma. Browse around Scotch and you&apos;ll see it&apos;s heavily used. The hero class is all over the Scotch home page, at the top of article pages, and pretty much on every page! We added the icon background to our heroes and voila, you have quickly made a site topper. We can even add a navbar or tabs to the inside of the hero layout. The level is a feature that allows us to vertically center elements in a row. This is made easy thanks to flexbox. All of these put together help you focus on what makes your site unique and not on writing CSS to create these often-used components. The form and elements sections aren&apos;t as glamorous as the features mentioned above. Definitely look through them to see how the base classes of Bulma look. Here&apos;s a few highlights out of the elements section of the docs. Overall, Bulma is a great flexbox based CSS framework that has proven itself with the constant updates and new features being added at lightning pace. The modifier is- keyword is simple to use and also very readable. The use of flexbox and easy vertical centering is a solid feature. On top of all these great features, the layout classes that come with Bulma allow us to make sites/apps quickly. Give Bulma a try and definitely read through the docs to see all the offerings.